I’m happy to say that the lucky winner of the giveaway is comment number 11. Congrats, Tally! I know you’ll rock the beautiful handcrafted set. I really enjoyed reading all of your answers on this one, and I have another interested Etsy shop, so I think I’ll do additional gratitude giveaway in a few months. And a funny side note: I finally dove in to One Thousand Gifts that everyone has been raving about, and it is absolutely not a typical read for me at all, but I started it yesterday and cannot put it down. (Bleary -eyed this morning because of it!) It’s Ann Voskamp’s story of challenging herself to write down 1,000 things she is thankful for and how that changes her life. This woman is a seriously beautiful writer, and I love her way of describing things. I’ve been reading on my Kindle a lot lately, but I ordered the “real” book because I knew I’d want to underline and come back to it again and again on my shelf. She describes how transforming it can be to write down your list of things you are thankful for, “I mean, they are just common things and maybe I don’t even know they are gifts really until I write them down and that is really what they look like. Gifts He bestows. This writing it down – it is sort of like …. unwrapping love” (45) Such an apt description of the value of gratitude. So basically this book is all about recognizing the beauty in the everyday, and look at the cover. And again, look at Tally’s new jewelry that she won by practicing some gratitude herself. Funny, huh? So, I don’t know….. it’s just a weird little cosmic connection with this whole bird’s nest, gratitude, life-is-full-of-possibilities-when-you-look-around kind of thing. Now I have an association with bird’s nests and am reminded to say thanks when I see them. 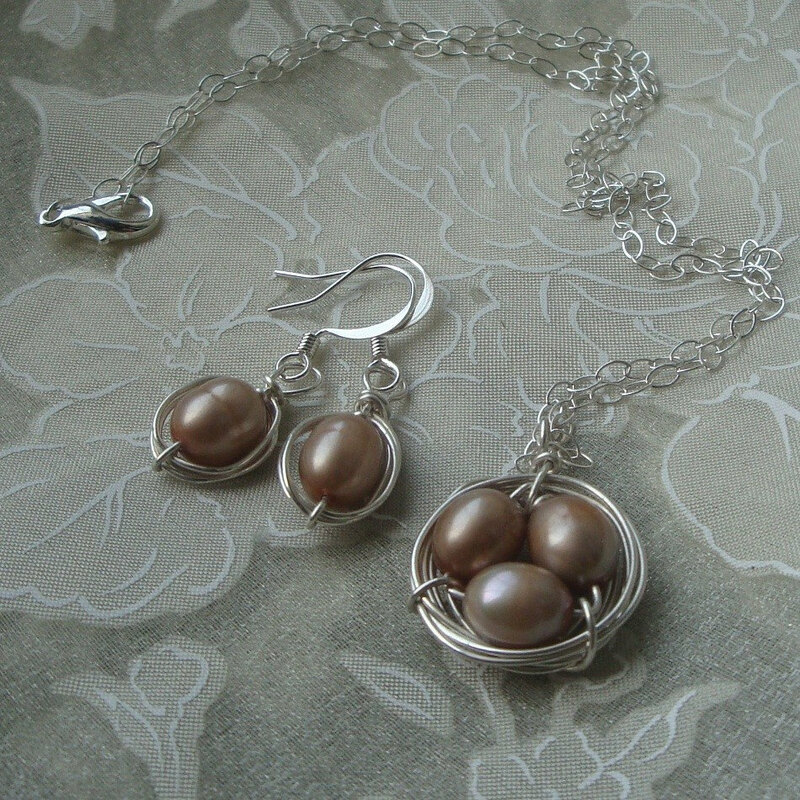 And I might have already searched Etsy and found a million bird’s nest things I want now. Enjoy your new bling, Tally. And enjoy your weekend, readers. Be full and happy. Previous postA few of my favorite things……. Okay, I have heard lots about this book and now I am going to have to read it. Maybe next after I get done with Hamlet’s Blackberry. I have thought about you a lot as I’ve been going through it. It’s such a Katie book and I love it!